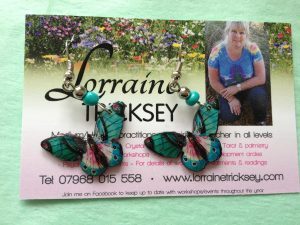 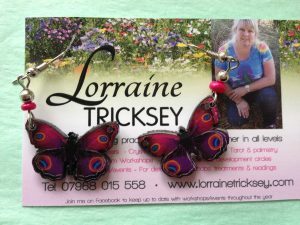 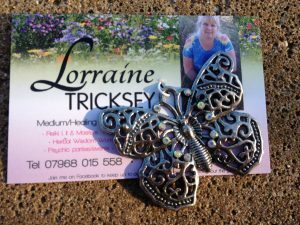 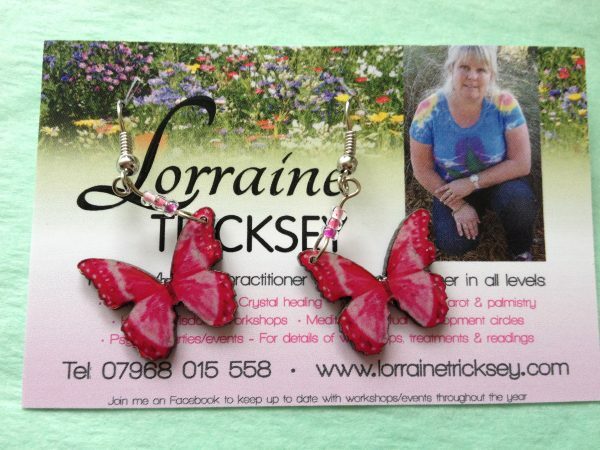 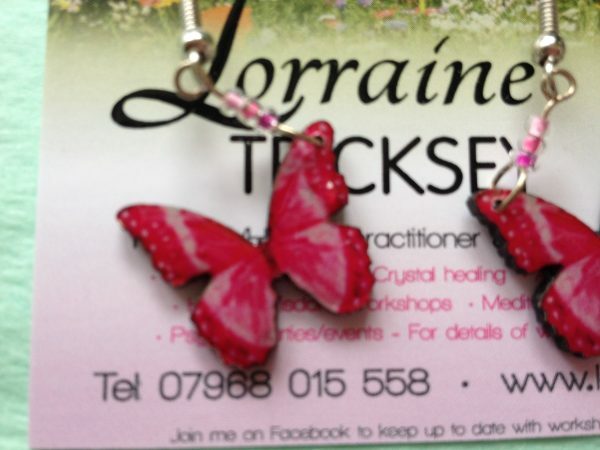 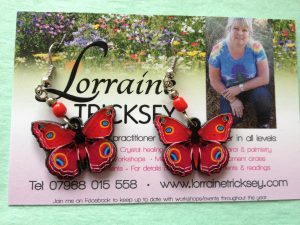 Beautiful, handcrafted, nature designed, red/pink butterfly earrings with lovely colourings. 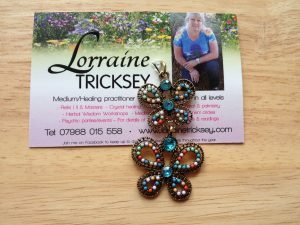 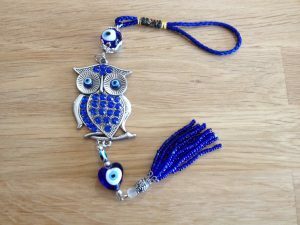 Strong beaded hooked clasps with drop & dangle design. 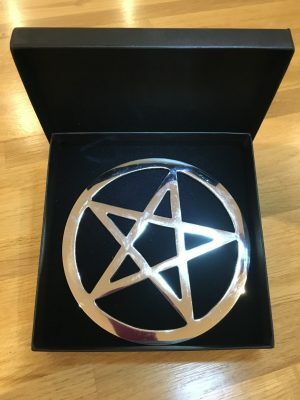 To purchase please add to your shopping cart.